Meetings are held 2nd and 4th Saturday of every month. Teens 13-18. These young people are anointed, lively, and living for Christ while they’re young. Our desire is to teach youth how to be successful by applying biblical principles to everyday life. We believe that our youth should know how to activate their faith in order to be not just “hype,” but “holy”; not just search for a “thrill,” but search for something “real” in Jesus Christ. Through training we are helping youth to discover their God-given gifts and talents, and to understand that they can fulfill their dreams, rather in business, a God-given passion, or just being a Kingdom citizen. We are teaching youth how to Win through every difficult situation they may encounter. We are Kingdom women learning how to overcome every obstacle, by the transforming power of the Word of God. 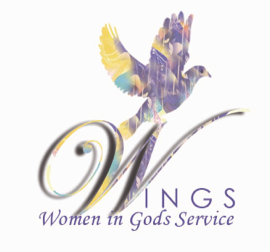 Our mission is to serve in the kingdom of God, and community, sharing the love of God, and mentoring young women and girls. Women of like faith coming together to encourage one another, to offer an atmosphere for women to discover and develop their gifts and abilities, to foster a spirit of unity among sisters in the Lord, and empower each other to Win! Meetings are held every 2nd and 4th Saturday of the month. The Singles Ministry teaches singles how to maximize their singleness from a kingdom perspective. S.O.A.R offers spiritual support and biblical knowledge, with practical teaching for the right way to date for the single Believer. Empowering parents to raise world class children using biblical principles. We believe with the Word of God and the power of the Holy Spirit parents can win in every area of their parenting life. Adults 50+ gather to create a space for the wisdom that has been set before us and to show the senior saint that their life is not over. You are not forgotten. It’s a great fellowship of senior saints of like faith.